So you’re on your way to a b-school this year and wondering what’s next? Do you feel like your job is done? Are you looking forward to sit back and relax? Well, we have bad news for you. Your MBA is just the means. The end is your career. Whether you want to make your career as a product manager, banker, consultant or marketeer – we have a platform that will help you get closer to your dream career. InsideIIM.com provides you Final Admits with a unique opportunity to start working on your career even before you join the business school. You get a chance to meet campus recruitment managers from top companies who will recruit you come summer placements. Do you know what companies like Unilever, TATA Administrative Services, Aditya Birla Group look for in their summer interns? Do you know what it takes to get into top companies from b-schools? Take the first step towards your dream job even before you enter the b-school. 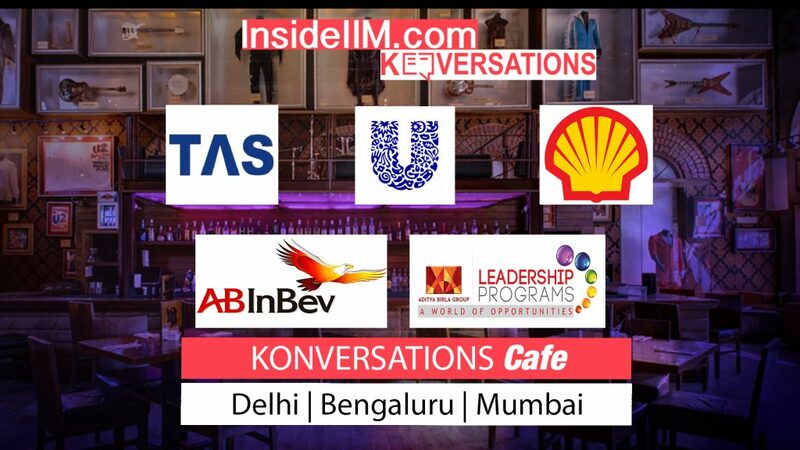 Register for the Pre-MBA Social 2019 and stand a chance to be Invited to meet the recruitment teams from TAS, Unilever, ABGLP, AB-InBev, Shell, and more. Prior registrations are mandatory to be invited to this exclusive workshop. The students NEED to send us the admission offer. Only those with a valid final admit will be invited for this session. *We might open it for other campuses soon so do register to be invited. It’s quite simple, really. Just fill this form and we will get in touch with you. In case of any queries, please feel free to reach out to Nidhi at nidhi.malkan@insideiim.com or on 9819083059. Hi! What is the deadline to mail the final convert offer letter? As soon as you receive it, you should send it to us to reserve your seat. I have my offer. I have filled out the form and waiting for your response. So should I send my offer letter before you respond or I wait for it? Hi Shirish, Please be assured that you will receive communication about what you need to submit when soon. We have noted your registration. We will be in touch. As of now, the events are happening only in 3 cities. It would be great if you could join in any of the three locations!